I’m back from New York and ready to create some great content for you. You will know that I love Clashing Prints and colours and I knew this skirt would suit a fab clashing print! I know that clashing prints and colours isn’t for everyone, but if you do it subtly, it’s not scary at all. So I’m going to share with you some tips on how to clash prints. 1. Stick with similar colours if you aren’t feeling overly brave. 2. Using accessories to clash your prints is an easy but subtle way to achieve this trend. like a printed bag or boots. 3. Wear a basic print to clash with a bold print. Spots, stripes and Heart prints work great with almost any print. 4. I like to clash colours according to the colour wheel. I love Primary Colours – Red, Blue and Yellow together, and also Secondary – Green, Purple and Orange. 5. Finally, break up your clashing prints with plain pieces. I like to add in a black jacket or a plain white tee so it’s not too over powering. Fashion is all about having fun, so there are no specific rules to stick to. 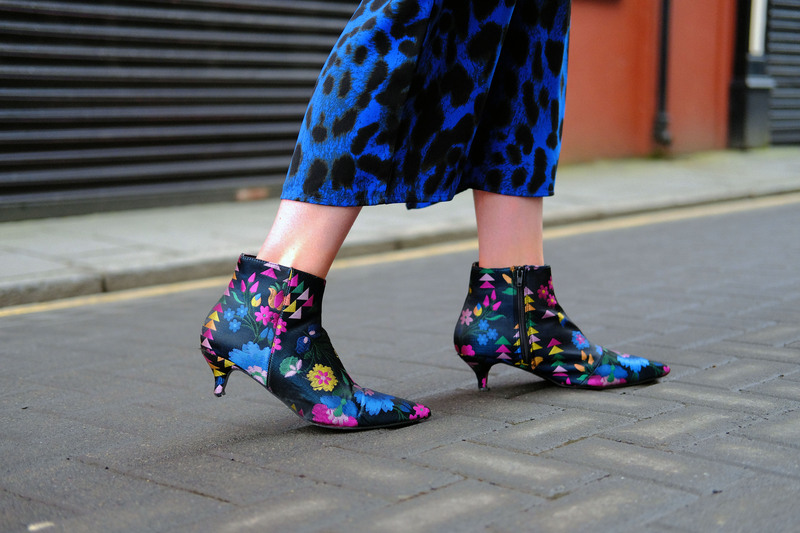 If you want to wear head to toe clashing prints and colours, then go for it – these are just some tricks and tips I use and hopefully you will find them useful too. What do you think about clashing prints?